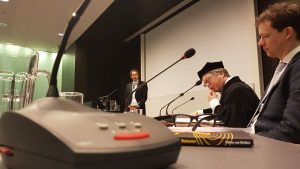 Obtained a PhD on my thesis (Steering) Interactive Play Behavior [or smaller pdf]. 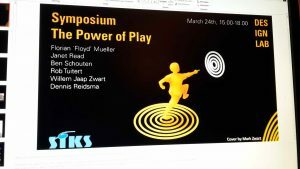 We had a very nice SIKS symposium, that I organized to follow up my PhD defense. 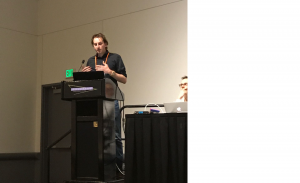 I presented my first full paper at CHI (one of the most important conferences in my field). I co-organized a worskhop at Persuasive Technology. I finally had time to work on and submit three journal papers. I also worked hard on my personal grant proposals, for an attempt to work on balancing exergames and joining the exertion games lab at RMIT for a year, fingers crossed. In the mean time, it is already fall 2017 and our new New Media modules started, looking forward to the interactive experiences. We just finished this year’s course on Game Design at the University of Twente for the bachelor Creative Technology. It was the first time I was responsible for this course and I liked working on it very much, and fortunately the students also responded quite positive. The course was formed around some of the topics of Jesse Schell’s book on Game Design. In total the workload was only 4EC so we couldn’t cover all the basics unfortunately. As one part of the course the students created a “2D” game in Unity, either as 1 player game or allowing only for “multiplayer” on one keyboard. The students created quite some nice games in Unity for the final project of this course. In total we had over 70 students working on games, mostly in duos. Some games really turned out well, so enjoy playing them and feel free to contact those gifted fresh game designers to continue their work! The movie on the left is about the some of the games on the floor. The news item itself is off course in Dutch. 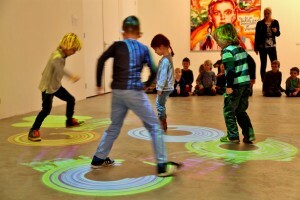 We got our own GREAT floor from LedGo at the DesignLab now. With it we hope to speed up the process of developing new games for the floor and this recently made it to the national news. After almost five years and being involved in 4 research projects, it was finally time: 100.000+ words of `dazzling brilliance’. It will have 12 Chapters, following an introduction this is spread over four parts: I) Steering Behavior in Interactive Play Spaces, II) Play for People with Profound Disabilities, III) Play for Gait Rehabilitation, and IV) Conclusion.